In late 2013 the Australian Competition and Consumer Commission (ACCC) issued a safety recall on all Infinity-branded power cables and Olsent power cables sourced from Infinity Cable Co Pty Ltd, which has had an ongoing impact on builders, contractors and electrical contractors who have used the product. Between April 2012 and October 2013 this cabling was used widely by electrical contractors on residential and commercial projects, and was available for sale at Masters Home Improvement stores, Mitre 10 and other retailers across Queensland. The cabling doesn’t comply with safety criteria and will deteriorate over time, creating a high risk of electric shock from direct contact and the potential for fire. In Queensland the safety risk could start as soon as 2018. 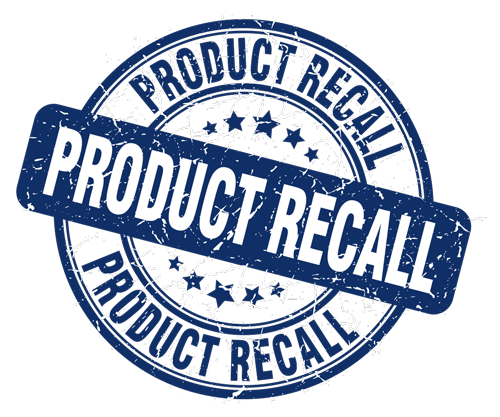 The product safety recall means that in certain circumstances, cable that has been used must be removed and replaced. The recall is in effect nationwide, with around 40,000 households and businesses affected. Cables will degrade prematurely and if the cables are disturbed, the insulation could break and expose live conductors, resulting in possible electric shock or fires. The removal and replacement of all Infinity cable installed in proximity to heat sources. The removal and replacement of all cable installed in areas that are accessible to building owners, tradespeople or the public, unless the cable is laid in an appropriate cable conduit or other suitable mechanical protection. ‘Accessible areas’ include all accessible roof spaces and accessible spaces under floors. An ‘appropriate cable conduit or other suitable mechanical protection’ is electrically non-conductive, flame retardant (or self-extinguishing) and with appropriate ingress protection (IP) rating that prevents access to the cable inside. Any Infinity cable left installed in a cable conduit or in inaccessible wall, floor or ceiling spaces or embedded into a masonry wall surface must have an electrical safety switch (residual current device) installed and tested on that cable, if such a device is not already installed and tested. Any premises with Infinity cable left installed must have an appropriate warning sticker affixed to the electrical metering/switch box alerting building owners and tradespeople to the presence of inaccessible Infinity sourced cable. The ACCC worked with the cable suppliers (Masters Home Improvement, Mitre 10 and other retailers) and negotiated an outcome whereby in certain circumstances (defined in the recall guidelines) these suppliers will bear the cost of removal and replacement of the faulty cable. The retailer will make all of the arrangements for work to be done by electrical contractors of their own choosing. However, we have concerns about the liability of builders and electrical contractors where faulty cable is left in the building because it was inaccessible. Under Australian Consumer Law, the contractor who installed the electrical cable has a duty to supply goods that are fit for purpose. Arguably, the builder or electrical contractor could be liable for the cable that remains in the building. Builders and electrical contractors could face a claim for damage or loss suffered. We’re working to ensure that the residual liability for any cable that is left in place is left with the cable supplier and not the builder or electrical contractor. Insurance policies vary, and generally, construction works policies will not pay the costs of rectifying or replacing defective works or materials. Public liability policies normally require that all reasonable precautions be taken to prevent personal injury or property damage, and generally will exclude coverage for claims arising from known defects in your works. We suggest you discuss this with your insurer. Write to all electrical contractors you have used since April 2012, to request confirmation, in writing, if they have used Infinity cabling. If the cable has been used, write to the electrical contractor directing them to work with their retailer to replace the cable as per the safety recall guidelines. Inform the client that the cable has been used. Contact the retailer you purchased the cable from to establish what they intend to do about replacing the defective cable. If you are aware that Infinity cable has been used and the electrical contractor or retailer fails to provide an adequate response to your request, contact Master Builders immediately to access our initial free legal advice. Check any insurance coverage you hold. If your client isn’t satisfied with your response, contact us for assistance. Contact all businesses and individuals you have completed work for since April 2012, advising if you’ve used Infinity cabling. You can contact Master Builders to access our initial free advice. Remember to keep a copy of all written correspondence between all parties for your records.